So it doesn't really get better than this... A sloth mug! Can you believe it? 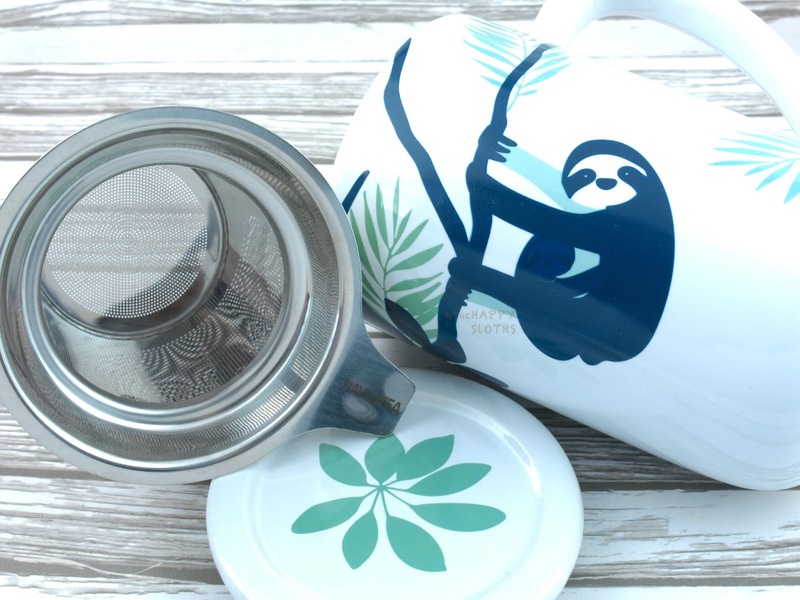 Printed with the cutest mama and baby sloth surrounded by pretty leaves and flowers, this is a tall tea mug. 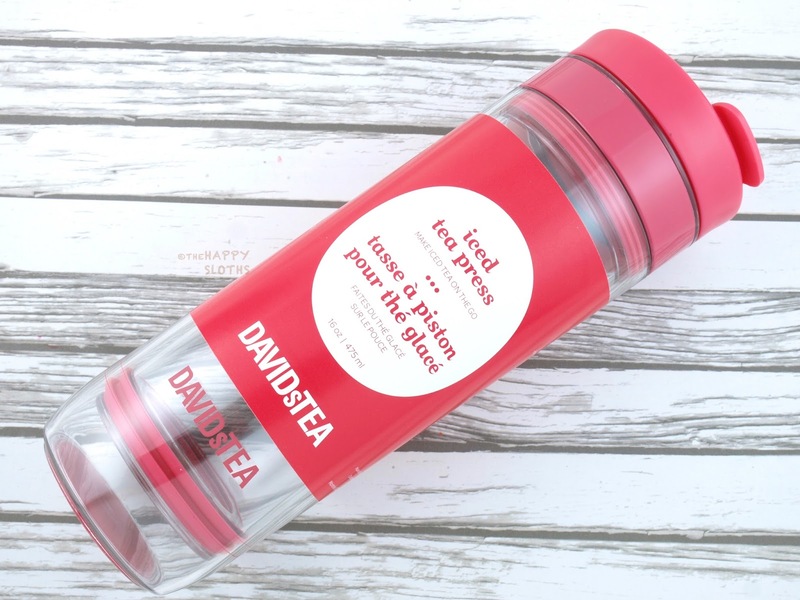 The cute design will actually change color once it's filled with hot tea. 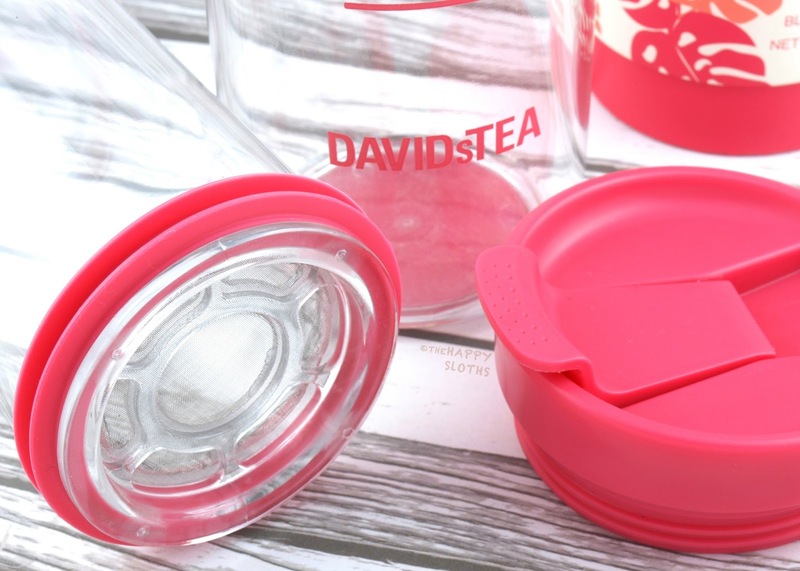 Included are a handy stainless steel tea infuser and a lid that doubles as a saucer for the infuser. This is a plastic double-layered water bottle. To use, fill up the outer bottle with tea and hot water, then fill the inner bottle with ice and press it down into the outer bottle. This snazzy bottle actually works really well at making iced tea but I found it just a bit too leaky to be used on-the-go. 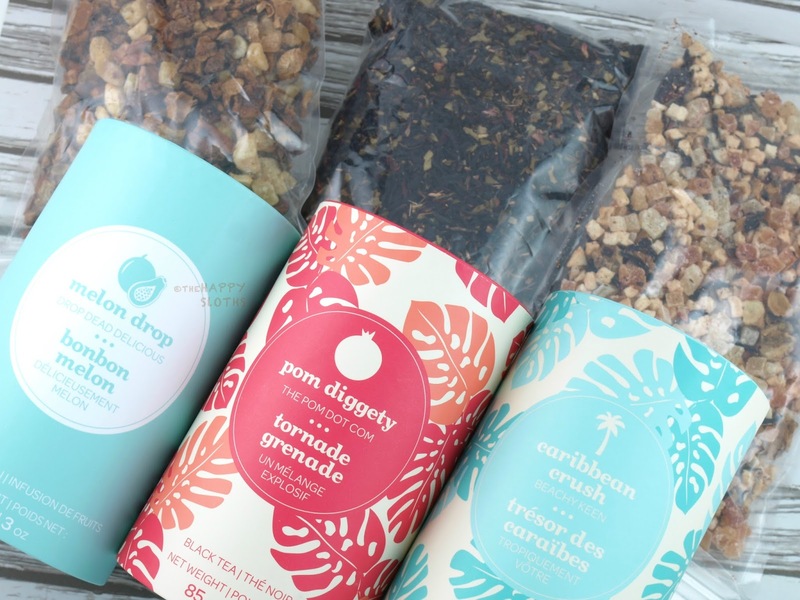 DAVIDsTEA Solo in "Melon Drop", "Pom Diggety" & "Carribean Crush"
For summer, DAVIDsTEA has quite a wide variety of tropical and summery fruit/herbal infusions with a hint of sweetness. So far I've tried all three pictured and I'm quite pleased with each of them. Carribean Crush is a blend of cranberry, papaya, and pineapple. 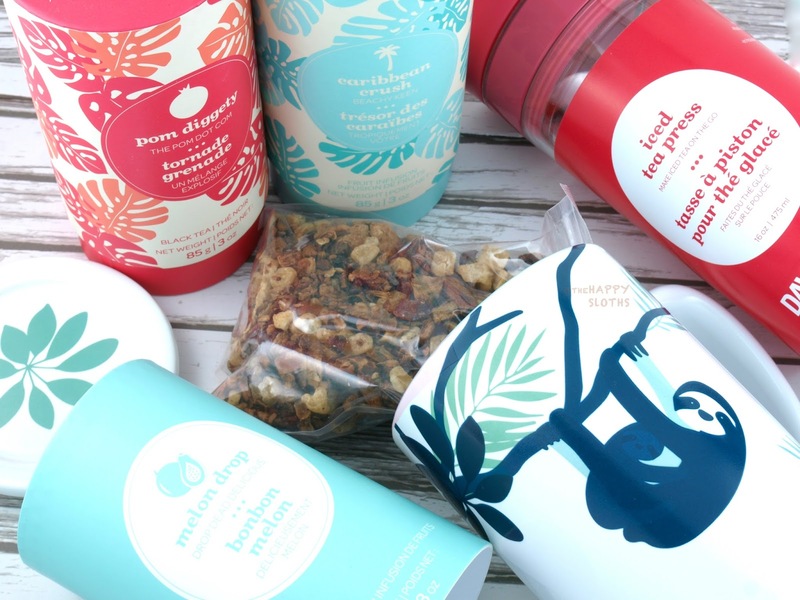 Pom Diggety is a blend of black tea, hibiscus, rooibos, and pomegranate. Finally, Melon Drop is just packed to the brim with various fruits, including apples, honeydew, papaya, watermelon, and kiwi.